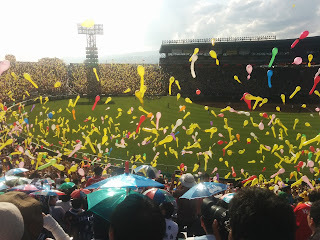 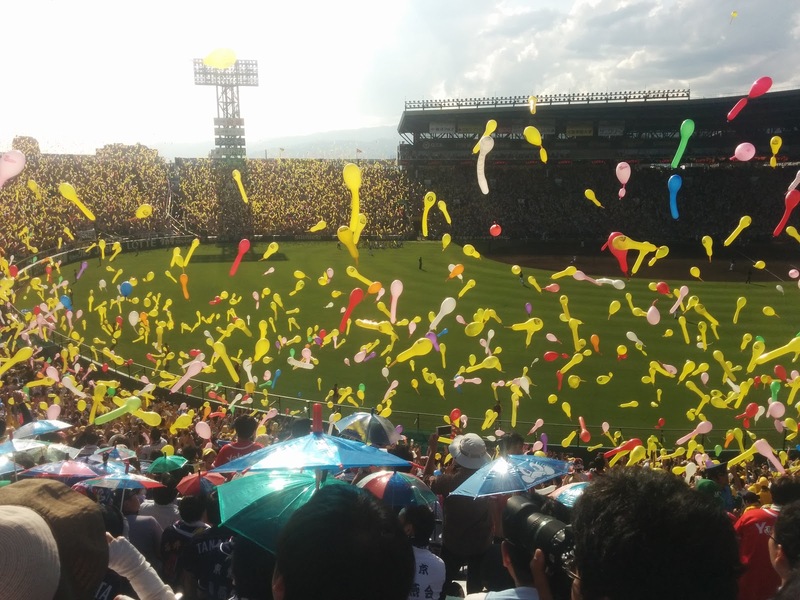 Japan is one of the biggest places for baseball in the world, and the most famous stadium in Japan is Koshien. 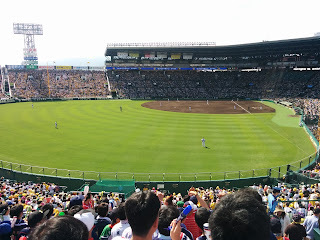 Koshien is used for the two major high school tournaments that happen during the year, and otherwise it's used by the Hanshin Tigers. 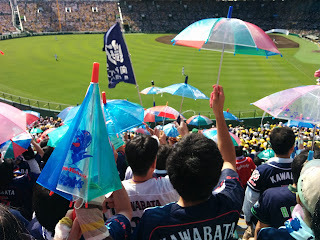 Due to my time in Tokyo, though, I'm a Tokyo Yakult Swallows fan. 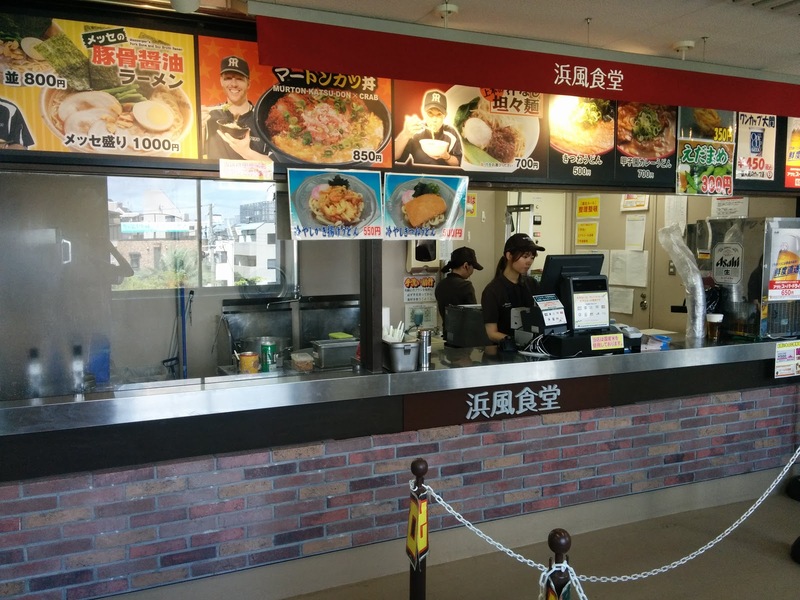 The concessions at Japanese stadiums aren't too bad. 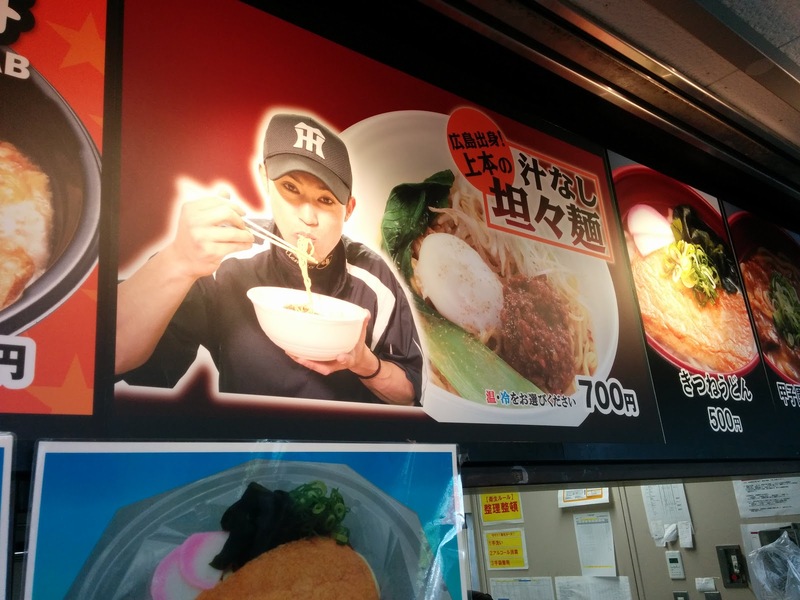 They have a variety of food, only a little more expensive than you'd found outside. At Koshien, they have different items based on each player on the team. Feeling like some noodles, I ordered Uemoto's soupless tantanmen. It was a hot day and the stadium was pretty packed with people, so I went with the cold version to cool me down. 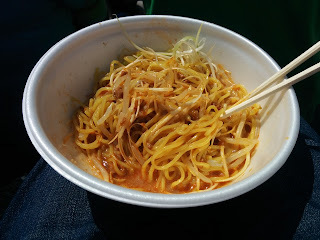 The noodles themselves were nice and chewy, but overall the mixture was lacking on flavor. 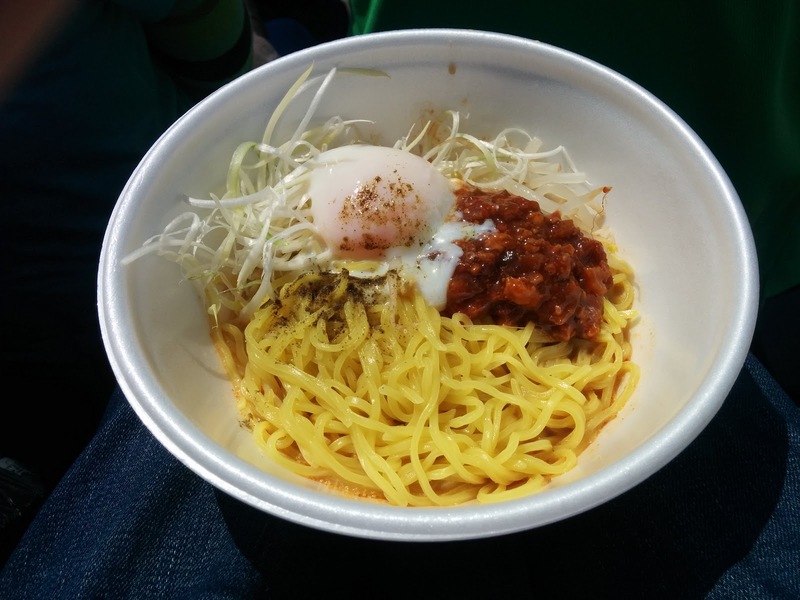 If I had gone to a shop for this I may have been disappointed, but frankly a light mixture of cold, spicy, carbohydrates was just what the doctor ordered at this game.